Snow Day = Soup Day!! After some late and early dismissal days from school we finally had our first official snow day! The kids were excited to play in the snow and I was looking forward to making a steaming hot pot of soup! 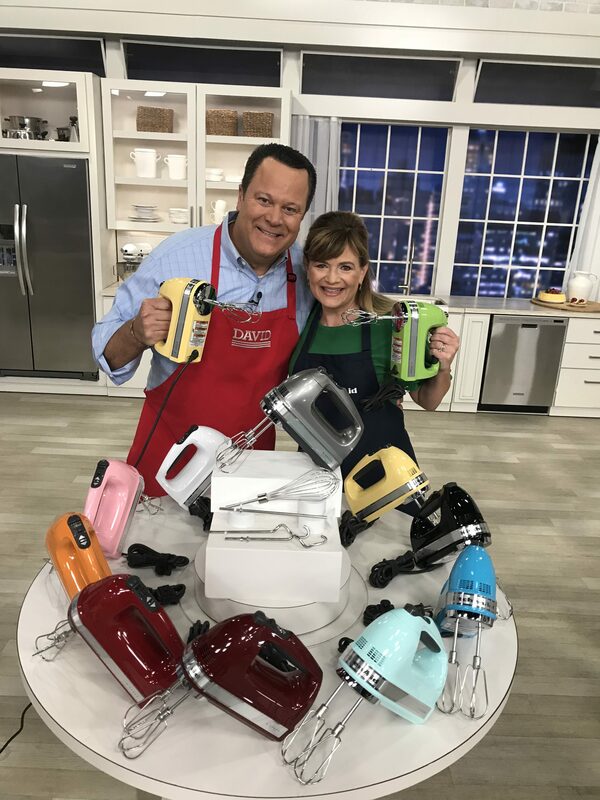 Soup is one of my favorite foods to make and eat, and I can’t believe I only have a handful of soups posted – my apologies – there will be more to come, I promise! I am of the thinking that soup is a meal – served with some warm crusty bread and maybe a nice fresh salad – it makes me a happy girl! 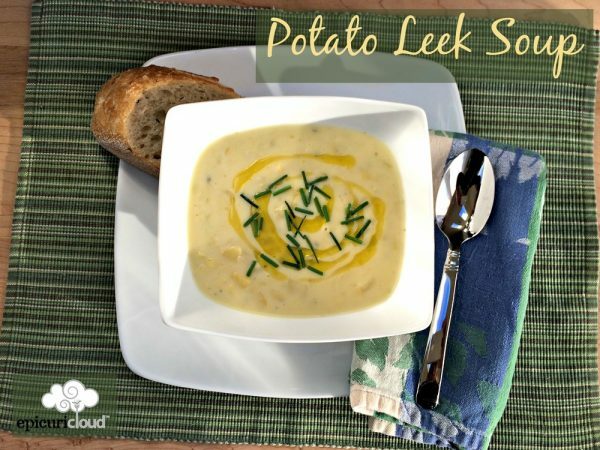 Potato Leek soup is perfect for a cold snow day. 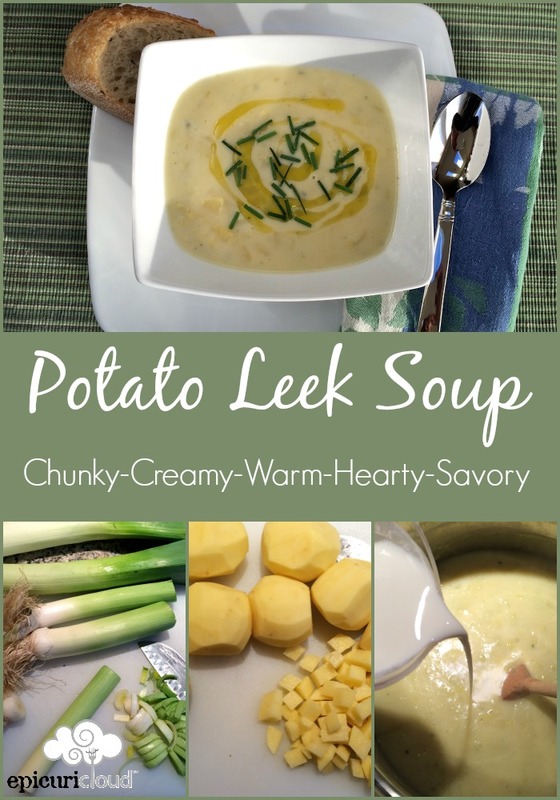 It’s warm and comforting and hearty and steamy…mmm I like my potato leek soup chunky and creamy, with just a little bit of tanginess from some buttermilk. Stay warm friends – eat soup! Thank you for spending some time in the cloud with me! Potato Leek soup is perfect for winter or early spring! 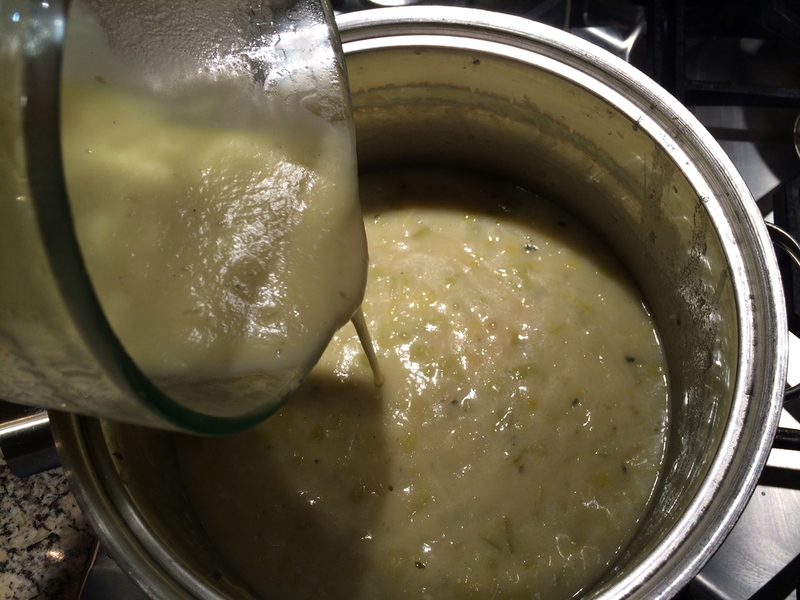 It's warm and comforting and hearty and steamy…mmm I like my potato leek soup chunky and creamy, with just a little bit of tanginess from some buttermilk. Stay warm friends - eat soup! Trim the dark green and root end of the leeks. 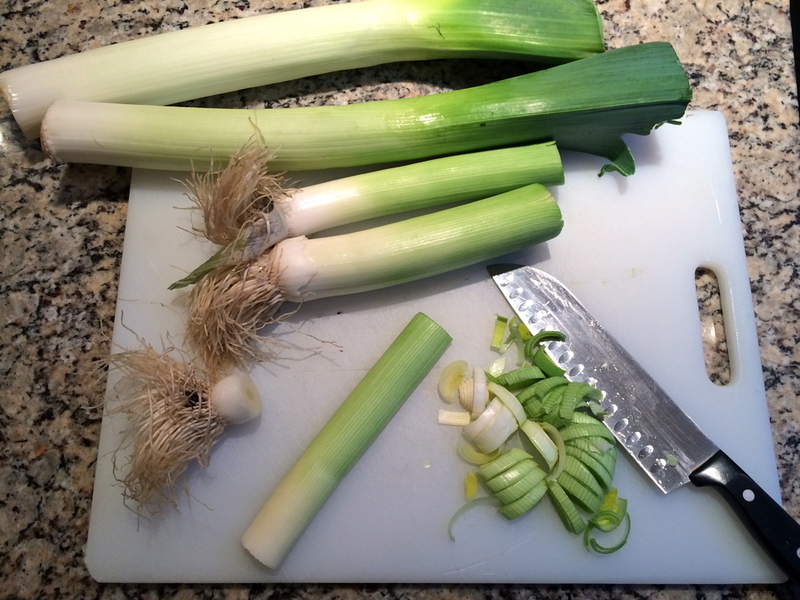 Slice the white and light green parts of the leeks into 1/4 inch rounds and slice in half or quarters if large. Rinse and drain leeks (see notes). 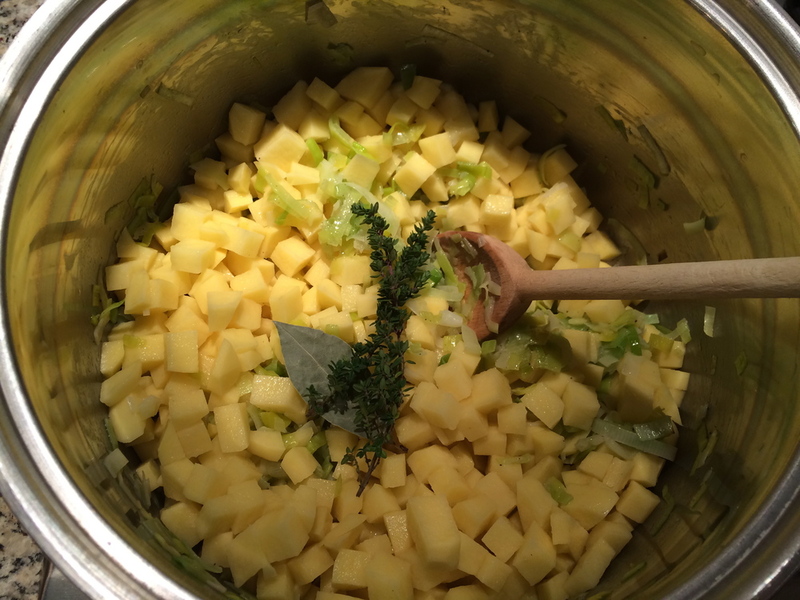 Add oil and butter to a 6-quart pot over medium heat. Add the leeks, salt and pepper to pot and sauté for about 8 minutes. 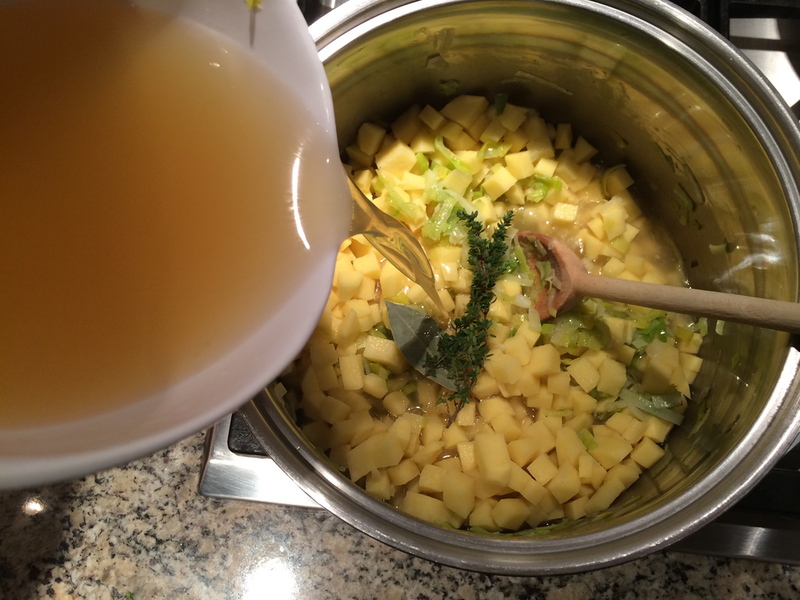 Add the potatoes, bay leaf, thyme (see notes) and broth. Bring to simmer over medium high heat. 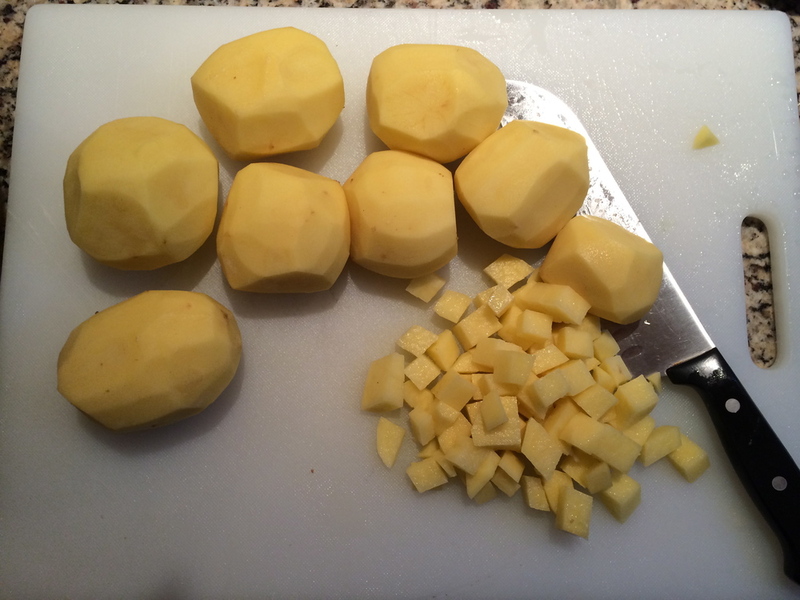 Reduce heat and maintain low simmer for about 20-30 minutes or until potatoes are tender. 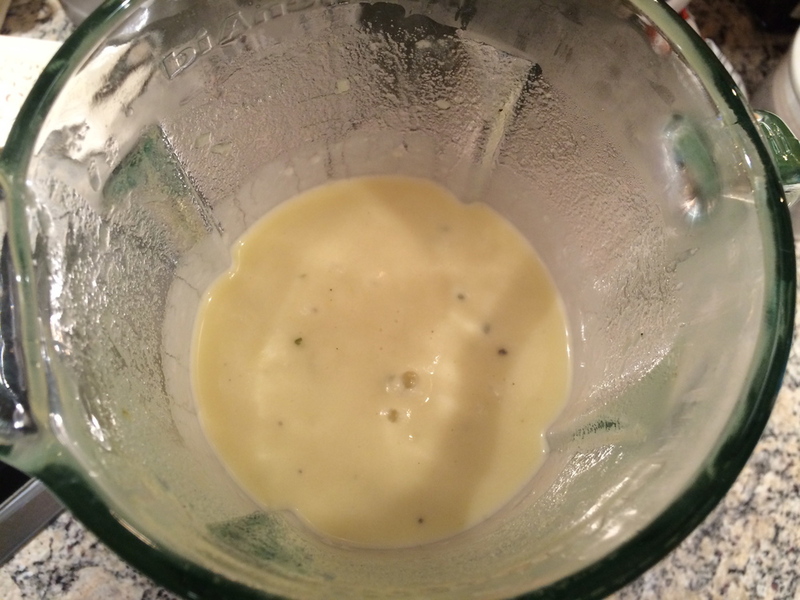 Make sure to hold the lid on the blender with a kitchen towel as the lid sometimes wants to pop off when blending hot items. 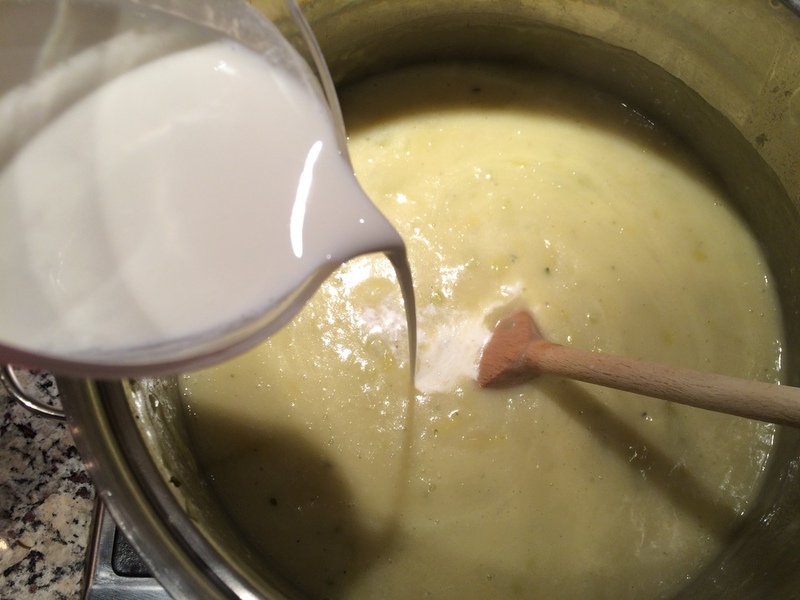 Return the puree to the soup pot and stir in the cream and buttermilk. Bring back to a very low simmer and serve when ready. Can be made a few days in advance, just reheat gently and don't boil. Can also be frozen. 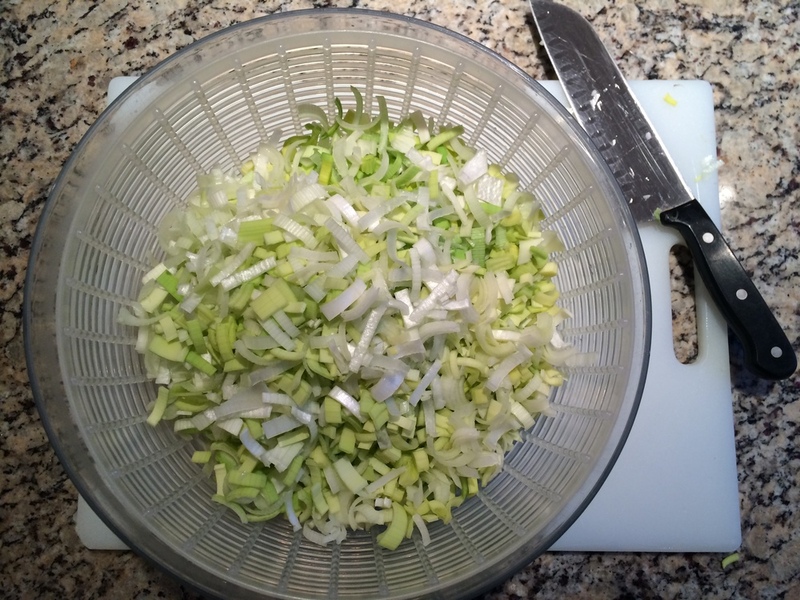 To Rinse Leeks: I fill up my salad spinner with water and swish them around and then drain and spin them dry. Fresh Thyme Tips: I toss the thyme sprigs in whole and remove the stems at the end of cooking - sometimes I tie the sprigs together with cooking string to make easier to remove.